With the chance to dress up in a favorite superhero costume and stock up on sweets, Halloween is the holiday of choice for many kids, from toddlers to teens. While it’s easy to enjoy this festive holiday with your family, it’s also easy to overindulge on those sweet treats. Especially since the goal of many children while trick-or-treating is to get as much candy as possible! The key to keeping candy consumption in check is to have snacks on hand that assure healthy treats are getting into those little tummies. Before your kids go trick-or-treating, try to serve a healthy meal so they’re not hungry when the candy starts coming in. 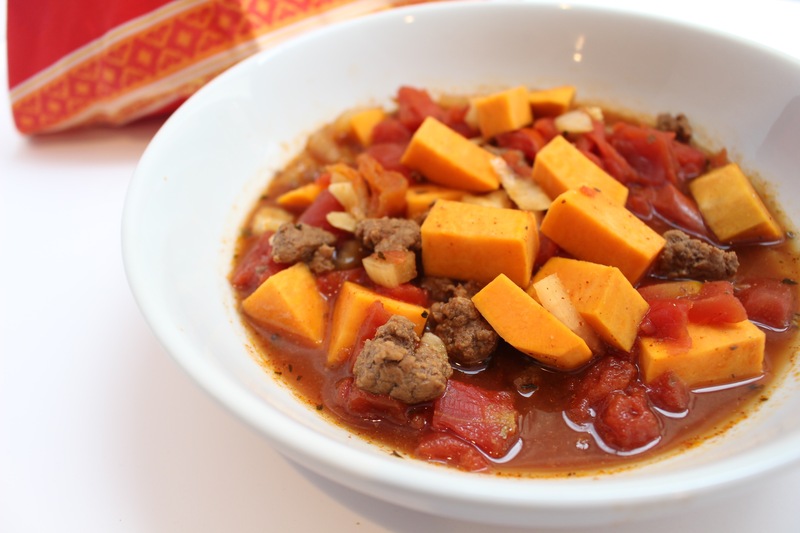 Since my boys love sweet potatoes, I knew this slow cooker Halloween Stew would go over well and keep them energized [and hopefully full] when they hit the pavement for candy! If you let your kids indulge in some treats right after trick-or-treating, consider limiting their intake to certain number of pieces each day AFTER the holiday or put the candy stash out of reach and out of sight. Then kids have to ask for it — that is, if they remember that it’s there! Talk to you kids about why there is a candy limit and that you are limiting your candy intake, too. You could also make sure that a piece of candy is served up alongside something healthy. Use your best judgment given what you know about your child’s personality and eating habits. Now I’m not suggesting you deprive your child of the traditional candy-laden Halloween experience. But practice good guidance and show them that there’s more to this spook-tac-u-lar holiday than pre-packaged candy. And remember, Halloween, like other holidays, is one day out of the year. Eating healthy year round will have a greater impact on your child’s health and well-being rather than a few days of overindulgence. 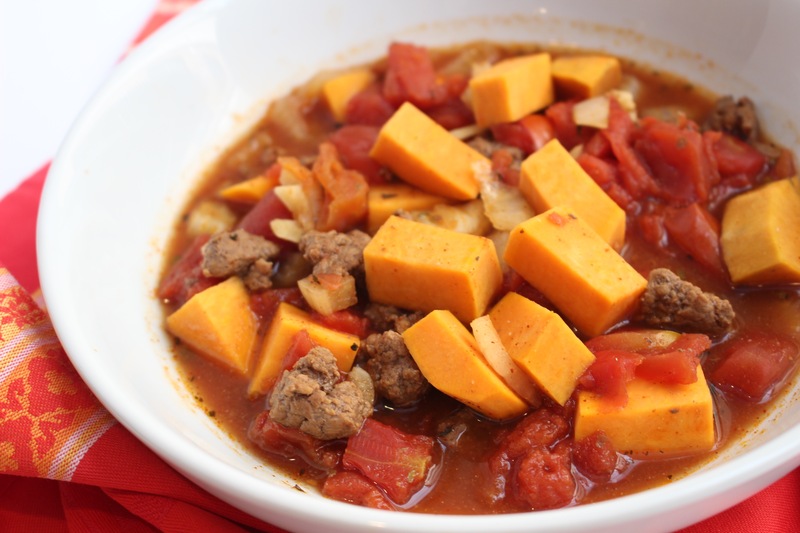 Add beef, seasonings, garlic, onion, sweet potatoes, tomatoes and broth to slow cooker. Cover and cook on low for 5-6 hours. 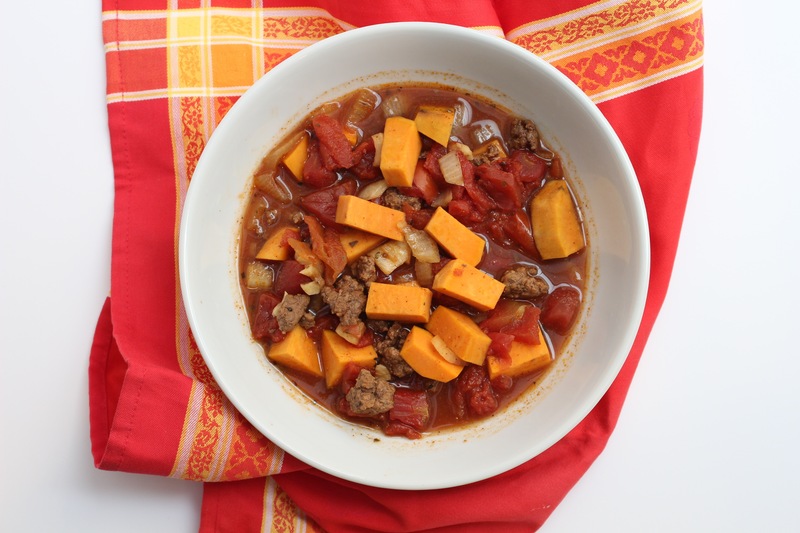 Serve immediately and top with cheddar cheese, sour cream, or crushed tortilla chips.